Dr. Warren Zahner started practicing in the Ellington area in 1977, and raised his family in town. Small town values are deeply embedded in the culture at Zahner Dental. We treat others with respect and integrity, as we would wish to be treated. 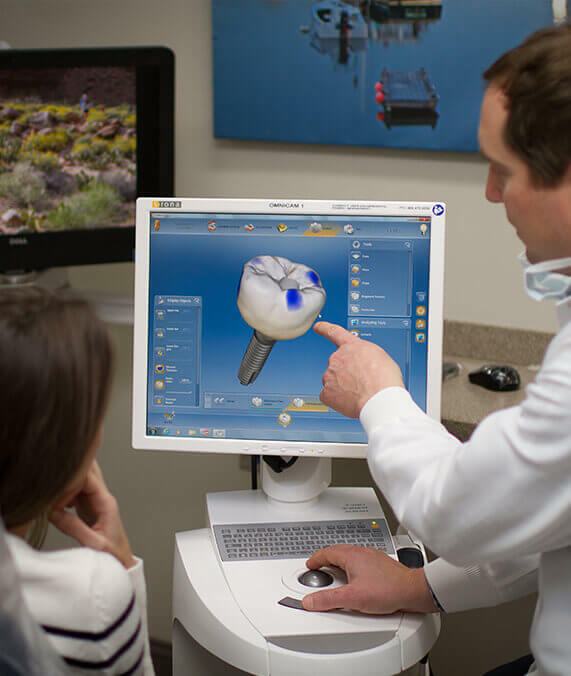 We make it a point to stay up-to-date with the latest developments in the dental field, improving treatment accuracy, speed, patient results, and much more. Helping patients feel comfortable is very important to our team. 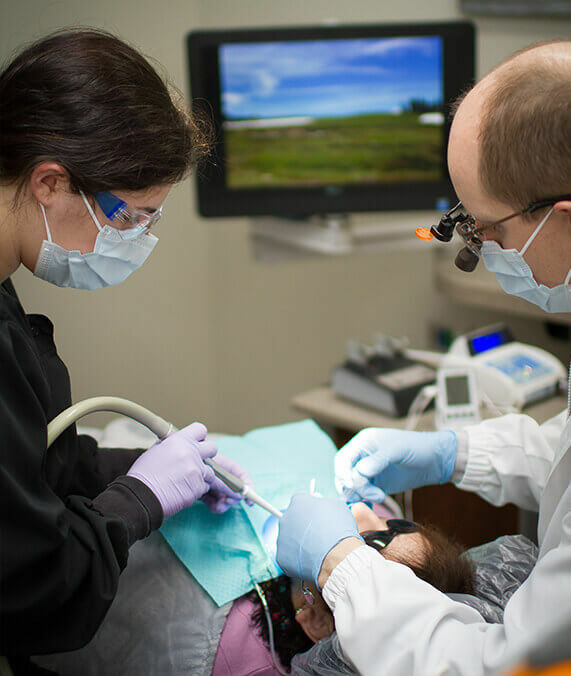 Our in-office amenities and sedation services create a modern dental experience with extra attention to the details that help relieve dental anxiety. Our team has been serving the Ellington community for almost 40 years now, and we’re proud of our unique blend of old-fashioned customer service with high-quality state-of-the-art dentistry . Dr. Warren Zahner and his two sons Dr. Jonathan Zahner and Dr. Shawn Zahner are local residents deeply invested in the practice and the community. Our office space is warm, clean and welcoming and our staff is kind and thorough. 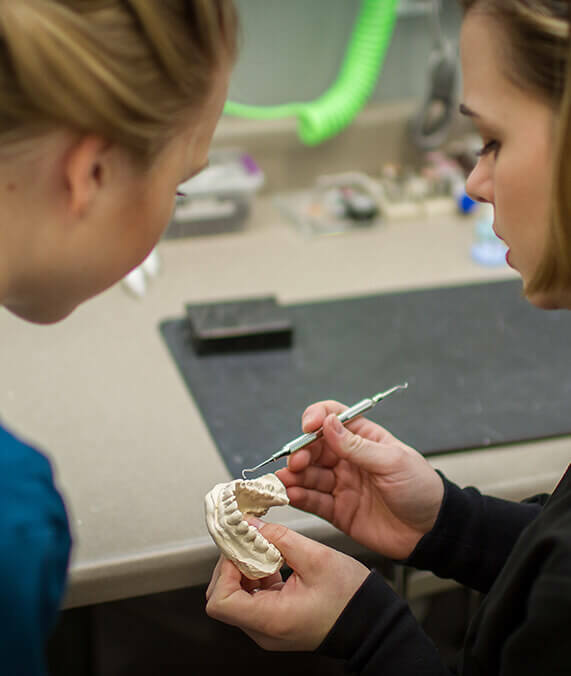 We mentor dental students and teach at Hartford Hospital Dental Clinic, and we have a long history of volunteering locally and abroad to provide dental care to the less fortunate. We hope to build a lifelong relationship with our patients and coach them to excellent oral health. Traditionally, the process of creating a new dental crown or other custom restoration would take multiple appointments. With an in-office dental lab capable of creating same-day crowns designed by the doctor, you can have a high-quality, natural appearing restoration faster than ever before. The treatment process only takes a single appointment, and you’ll walk out with beautifully personalized results. When a natural tooth is lost, the strength of the bite as a whole is weakened and the surrounding teeth are subject to higher forces. Implants add strength to the bite, prevent shifting, and ease the burden of chewing on the neighboring teeth. Implants can also help restore confidence and chewing efficiency for denture wearers. With Invisalign, patients can correct misaligned teeth with a clear removable set of retainers. Straight teeth can give you the confident beautiful smile you once had! 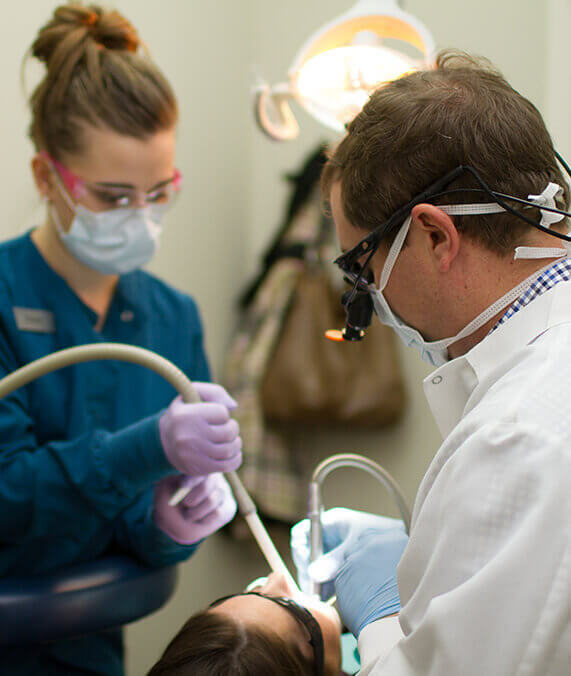 Dental anxiety is extremely common, and we’ve never had more options to help get patients through treatment comfortably. We routinely use noise-cancelling headphones, iPads with movies, blankets, sunglasses, nitrous oxide and oral sedation. Because we provide many specialist services in our Ellington office, you can have one long sleepy visit instead of many visits to multiple offices! 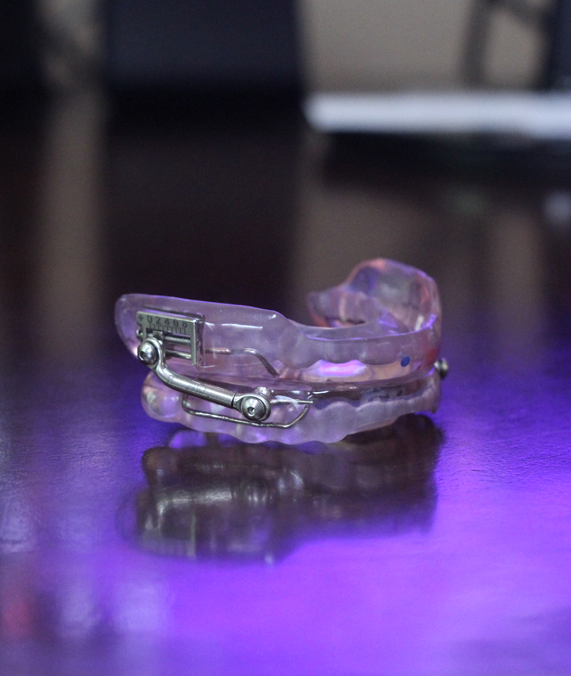 An oral appliance can provide great relief for patients suffering from sleep apnea and snoring. You wear it sort of like an athletic sports guard while you sleep, and it works by holding the lower jaw in place. Many patients find this to be an excellent alternative to CPAP therapy, which may provide more disruption than the original symptoms of sleep apnea. Oral appliances are customized for maximum comfort and effectiveness. A bright smile is more predictable than ever with KOR whitening. This advanced procedure is capable of brightening even severe discoloration, and it’s widely considered to be one of the most reliable, comfortable, and effective bleaching systems available today. We want to help make dental care affordable and make payment smooth and convenient. Zahner Dental is an in-network provider for some insurance plans and we process claims for any insurance plan, even when you are out-of- network. We also offer low-interest financing through CareCredit. So many of our patients are our valued neighbors here in Ellington, CT, and our whole team enjoys contributing to local events and organizations whenever possible so as to give back to those around us. Making people smile is always our top goal!